1317 left in stock, Hurry! Artists who prefer to draw freehand stencils can avoid smudging or fading during procedures with Stencil Stay. This upgraded vegan-friendly thermal transfer solution is formulated to be safe for all skin types; it decreases your the chances of your stencil smudging even more successfully than the original Stencil Stay formula. It accurately transfers stencils onto the skin on the first attempt, dries fast, sustains stencil lines, and is aloe-scented. 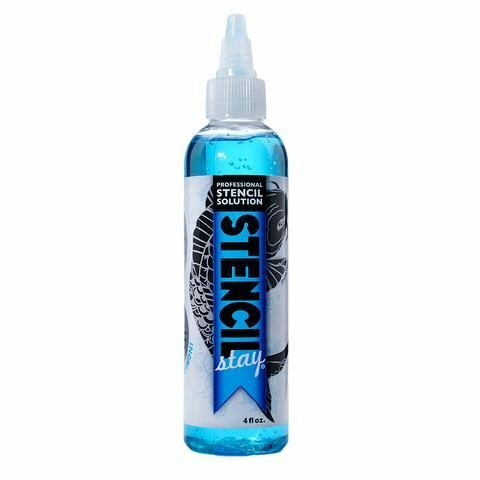 This listing is for one 4oz bottle of Stencil Stay with a twist-off cap.